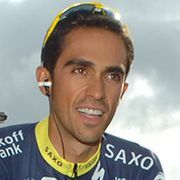 The Spanish cyclist Alberto Contador was born in December 1982 in Madrid. Obsessed by sport as a child, Contador showed promise in football and athletics before being introduced to cycling by his older brother. 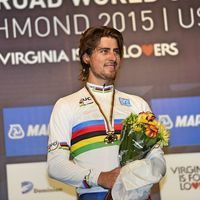 He began racing competitively as a cadet for a local team at the age of fifteen and two years later was wining prizes in the juvenile category at Ruta del Vino and Sierra Norte. 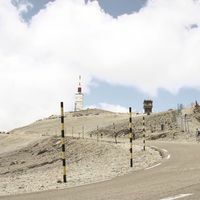 It was during this time that Contador discovered his talent as a hill climber, at which he is now considered the best in the world. 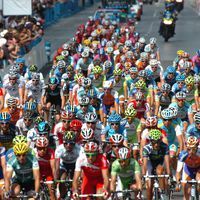 Turning professional in 2003 riding for ONCE-Eroski, Contador achieved his first victory, an individual time trial at the Tour of Poland. 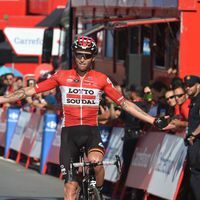 The following year was almost the last of his career, however; riding in the Vuelta a Asturias for the Liberty Seguros-Würth team, Contador collapsed. He was diagnosed with cerebral cavernoma and underwent a complex operation. Luckily, after a difficult recovery, Contador was riding again, and winning, by 2005. 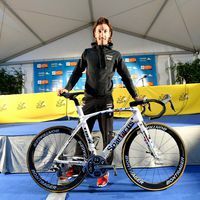 Contador’s breakout year was 2007, during which he joined the Discovery Channel (laterAstana) team and went on to win the Paris-Nice and the Tour de France. 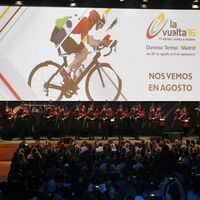 The next year brought victory in the Giro d’Italia and the Vuelta a España, seeing Contador become only the fifth rider to win all three Grand Tours. Despite internal team difficulties, 2009 brought another Tour de France victory. 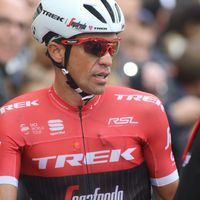 Contador’s career was subsequently shaken by a doping scandal that saw him stripped of wins at the 2010 Tour de France and the 2011 Giro d’Italia. 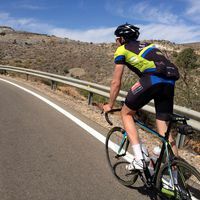 The rider showed his fortitude by taking his second title at the Vuelta a España in 2012.